The IBF stripped Jermain Taylor of his middleweight world title Friday, hours before he was originally scheduled to make his first defense. Taylor is facing numerous felony charges stemming from two gun-related incidents -- the alleged shooting of his cousin in August, and an incident last month in which he allegedly discharged a gun and threatened to shoot a family during a Martin Luther King Jr. Day parade in his hometown of Little Rock, Arkansas. Following the second incident, his defense against former junior middleweight titleholder Sergio Mora was canceled. Taylor, who was out on bail following the August incident, scored four knockdowns in a unanimous decision victory against Sam Soliman on Oct. 8 to win the 160-pound belt, nine years after he beat Bernard Hopkins to win the undisputed championship in 2005. However, after the January incident, Taylor had his bond from August revoked and surrendered to police again. Pulaski County Circuit Judge Leon Johnson then granted a request from Taylor's attorneys that he be transferred to a mental hospital for evaluation. Taylor has pleaded not guilty to all of the charges in both incidents, but his behavior has been out of character, which is why the attorneys asked for him to receive a mental evaluation. Taylor had been out of the ring for more than two years after suffering a small brain bleed in a brutal 12th-round knockout loss to Arthur Abraham in 2009. Since launching his comeback in 2011, Taylor has won five fights in a row, culminating with the title win. Taylor is due in court for a hearing Tuesday, with results from the mental evaluation to be presented to the court April 27. In stripping Taylor of its title, the IBF invoked its rule 5.C., which says, in part, "Any boxer who is ill, injured, under a legal impediment which would prevent the bout from taking place, or on suspension at the time the championships chairman and president order a bout under this rule shall be considered unavailable." 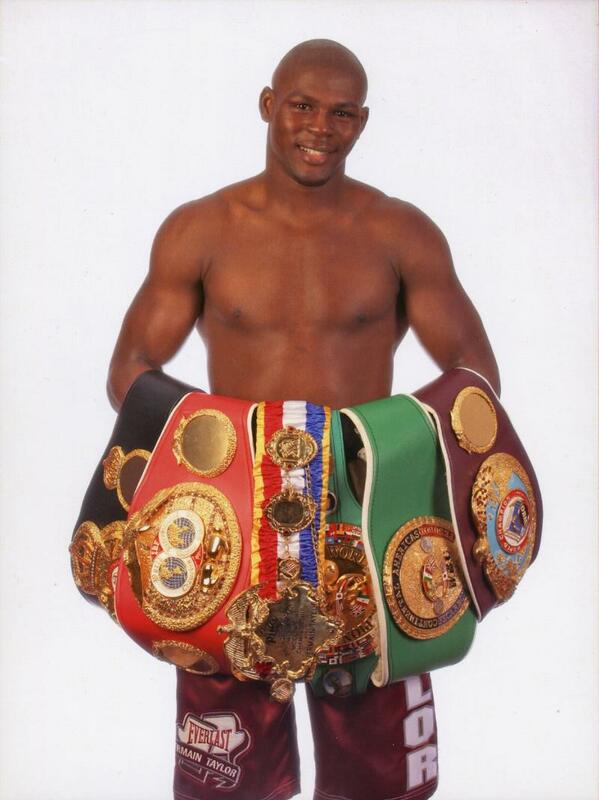 Had the IBF not stripped Taylor (33-4-1, 20 KOs), 36, on Friday, he would have lost the title anyway. Taylor was given permission by the IBF for the optional defense against Mora -- who went ahead and faced replacement opponent Abie Han in ESPN's "Friday Night Fights" main event at the Beau Rivage Resort & Casino in Biloxi, Mississippi -- as long as it was completed by Sunday. On Monday, the IBF would have ordered his mandatory defense against former titlist Hassan N'Dam. Because Taylor is in police custody and unavailable, his handlers cannot negotiate the bout, which would have also caused the IBF to vacate the title. "The IBF wishes Jermain the best of luck and hopes that he is able to resolve these matters quickly," IBF president Daryl Peoples said in a statement. "Jermain Taylor's promoter, Lou DiBella, was advised to notify the organization when Mr. Taylor resumes his boxing career." DiBella and others around Taylor say it is unlikely Taylor will ever fight again, even if he overcomes his legal issues. "I have not even a thought into the future of his boxing career or whether he retains the title," DiBella said. "It's about whether he can maintain control over his own life." With the belt vacant, the IBF ordered mandatory challenger N'Dam (31-1, 18 KOs), 30, a native of Cameroon based in France, to face former four-time titleholder Felix Sturm (39-4-3, 18 KOs), 36, of Germany, for the belt.